Wind energy generation, utilization and its grid penetration in electrical grid are increasing worldwide. The wind generated power is always fluctuating due to its time varying nature and causing stability problems. This weak interconnection of wind generating source in the electrical network affects the power quality and reliability. The influence of the wind turbine in the grid system concerning the power quality measurements are the variation of voltage, flicker, harmonics. This paper highlights a brief overview of the stability issues related to integration. T. Ackerman, G. Anderson, L. Sodder (2001), Distributed Generation: A definition, Electric Power Systems Research, vol.57, p.p. 195–204. Yi Zhang, Student Member, IEEE, and Sadrul Ula, Senior Member,IEEE, Comparison and Evaluation of Three Main Types of Wind Turbines, , B.Chitti Babu, K.B.Mohanty, C.Poongothai. Performance of Double-Output Induction Generator for Wind Energy Conversion Systems , First International Conference on Emerging Trends in Engineering and Technology. Sharad W., Mohod, Mohan, V. Aware, ―Power Quality Issues and Its Improvement in Wind Energy Generation Interface to Grid System‖, MIT International Journal of Electrical and Instrumentation Engg., vol.1,no.2,pp.116-122,2011. C. Tejavoth, M. Trishulapani, V. Rao, Y. Rambabu (July 2013). 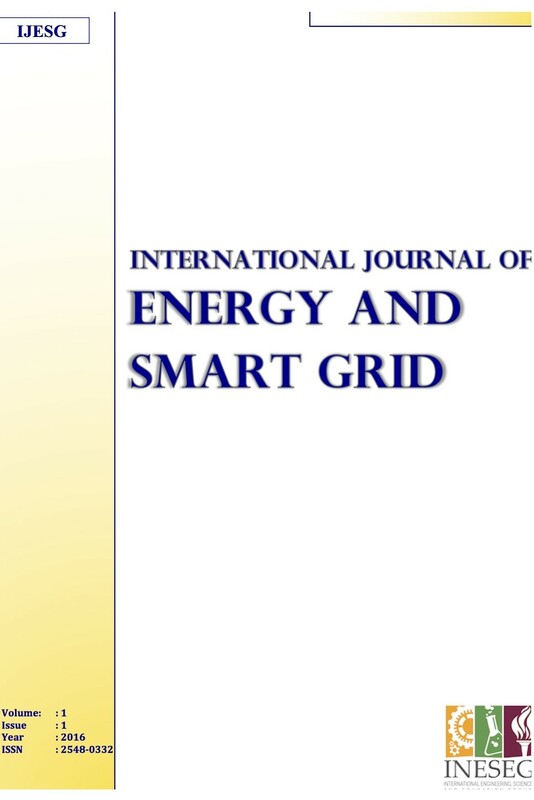 Power Quality Improvement for Grid Connected Wind Energy System using STATCOM-Control Scheme, IOSR Journal of Engineering (IOSRJEN), ISSN: 2278-8719, Vol. 3, Issue 7, ||V6 || PP 51-57. A. Almeida, L. Moreira, J. Delgado (2013), Power Quality Problems and New Solutions, ISR Department of Electrical and Computer Engineering University of Coimbra, PloII, 3030-290 Coimbra (Portugal), Accessed on August 2014, pp. 1-9. P. Sorensen, N. A. Cutululis, T. Lund, A. D. Hansen, T. Sorensen, J. Hjerrild, M. H. Donovan, L. Christensen, and H. K. Nielsen, "Power Quality Issues on Wind Power Installations in Denmark," IEE Power Engineering Society General Meeting, 2007. , 2007, pp. 1-6. C. Kocatepe, A.Inan, O. Arikan, R. Yumurtaci, B.Kekezoglu, M. Baysal, A. Bozkurt, and Y. Akkaya, "Power Quality Assessment of Grid-Connected Wind Farms Considering Regulation in Turkey," Renewable and Sustainable Energy Reviews, vol. 13, pp. 2553-2561, 2009. E. Ghiani, F. Pilo, G. G. Soma, and G. Celli, "Power Quality Measurements Performed on a Large Wind Park at Low an Medium Voltage Level," International Conference on Power Systems Transient, Lyon, France, 2007. D. Dragomir, N. Golovanov, and P. Postolache, "Overview on the Grid Code Requirements Related to the Connection of Wind Power Plants," 2nd International Comference on Modern Power System MPS. , CLUJ-NAPOCA, Romania, 2008. H. Emanuel, M. Schellschmidt, S. Wachtel, and S. Adloff, "Power quality measurements of wind energy converters with full-scale converter according to IEC 61400-21," 10th International Conference on Electrical Power Quality and Utilisation, 2009. EPQU 2009. , 2009, pp. 1-7. N. Golovanov, G. C. Lazaroiu, M. Roscia, and D. Zaninelli, "Integrating RES into the Romanian transport system," IEEE PowerTech Bucharest, 2009, pp. 1-6. A.Velayutham, (January 2015), Expert talk on Power Quality (PQ) Issues in smart Grid and Renewable Energy Soures, Ex Member,MERC, at SGRES, CPRI, Bangalore. G. O. Suvire and P. E. Mercado, Senior Member, IEEE, Wind Farm: Dynamic Model and Impact on a Weak Power System Endusa Billy Muhando, , Tomonobu Senjyu, , Eitaro Omine, , Yuri Yonaha, Toshihisa Funabashi, Steady-state and Transient Dynamic Response of Grid-Connected WECS with Asynchronous DOIG by Predictive Control under Turbulent Inflo. Endusa Billy Muhando, Student Member, IEEE, Tomonobu Senjyu,Senior Member, IEEE, Eitaro Omine, Student Member, IEEE, Yuri Yonaha, Student Member, IEEE, and Toshihisa Funabashi, Senior Member, IEEE, Steady-state and Transient Dynamic Response of Grid-Connected WECS with Asynchronous DOIG by Predictive Control under Turbulent Inflow. E. Muljadi A. Ellis Validation of Wind Power Plant Models Federico Milano Assessing Adequate Voltage Stability Analysis Tools for Networks with High Wind Power Penetration. Bongani Malinga Dr. John E. Sneckenberger, Dr. Ali Feliachi Modeling and Control of a Wind Turbine as a Distributed Resource. Antonios E. Haniotis, Konstantinos S. Soutis, Antonios G. Kladas and John A. Tegopoulos Grid Connected Variable Speed Wind Turbine Modeling, Dynamic Performance and Control. Fengquan Zhou, Géza Joós, Senior Member, IEEE, Chad Abbey, Student Member, IEEE, Lianwei Jiao, Member, IEEE, and Boon Teck Ooi, Fellow, IEEE Use of Large Capacity SMES to Improve the Power Quality and Stability of Wind Farms. Peter Nielsen, Gert K. Andersen, Knud D.Hagemann, Kenneth Skaug, John Bech, A Performance Oriented Wind Turbine Model for Grid Stability Studies. A. Samuel Neto, F. A. S. Neves, E. L. R. Pinheiro, R. Gaiba, S. R. Silva, Dynamic Analysis of Grid Connected Wind Farms Using ATP. A review of grid code technical requirements for wind farms, M. Tsili S. Papathanassiou, School of Electrical and Computer Engineering, National Technical University of Athens (NTUA), 9 Iroon Polytechniou str., Athens 15773, Greece, IET Renew. Power Gener. 2009, Vol. 3, Iss. 3, pp. 308–332. Mishra, A. K., et al. "Review of wind turbine system and its impact for grid stability." Journal of Electrical Engineering 11.1 (2011): 153-165. M. Molinas, J. A. Suul, and T. Undeland, "Wind farms with increased transient stability margin provided by a STATCOM," CES/IEEE 5th International Power Electronics and Motion Control Conference, 2006. IPEMC 2006. , 2006, pp. 1-7.